Does Dancing Rabbit (Azaleas) remind you of anywhere? I can remember, about ten years ago, the first time somebody recommended I go to Mississippi to play golf. I didn’t actually laugh out loud, but I certainly wasn’t about to entertain the idea. Visiting Mississippi at all seemed to me a strange notion; visiting for golf was surely the suggestion of a crazy person. Being a fuzzy foreigner, the long-held suspicion was that parts of Mississippi which weren’t actually submerged under hot, stinking swamps were probably so unappealing it would undoubtedly rank in the high 40s, or even lower, on my list of states I wanted to see. This special brand of ignorance is what the state tourism department must do battle with every day – unfounded misconceptions about what is actually a surprisingly attractive and exciting place. No, I’m not about to tell you Mississippi rivals Tuscany for serenity, charm, and magical panoramas; that its high places put one in mind of the Swiss Alps or Colorado Rockies, that its coastline resembles that of the French Riviera or the Pacific Northwest; or that its nightlife will tempt wild, young hedonists along the Gulf Coast from New Orleans. And I’m certainly not here to urge golfers to choose a few days in Mississippi over a trip to Bandon Dunes, Pinehurst, Maui, Hilton Head, or Scottsdale...unless perhaps they have already done those places, are looking for something new, and need to limit their spending after paying top dollar at the higher-ranked destinations. On the Gulf Coast, the highlights are probably the Bridges, designed by Arnold Palmer, and the Jerry Pate-designed Preserve. Davis Love’s Shell Landing near Biloxi is a fine layout, and a little ways north on State Route 15 is the magnificent Fallen Oak, a Tom Fazio design that hosts the Mississippi Gulf Coast Classic and is owned by the equally impressive 32-story, 3.2million sqft Beau Rivage Resort, an MGM Grand property. 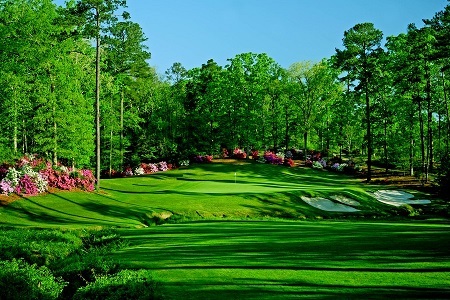 A few miles west is the small town of Saucier and a very fine Jack Nicklaus course – the Caesar’s Entertainment-owned Grand Bear – whose front nine holes skirt the Little Biloxi River making for some very entertaining golf. An hour further north, outside of Hattiesburg named for the wife of a pioneer lumberman, is the muscular Mark McCumber-designed Timberton which opened in 1991. Moving north again (you’re now about three and a half hours from Biloxi), you definitely need to find a place in your itinerary for Dancing Rabbit’s two excellent layouts - the Azaleas and the Oaks – created by Tom Fazio and Jerry Pate respectively, and owned by the Mississippi Band of Choctaw Indians. The nearby Pearl River Resort, also Choctaw- owned, boasts a 90,000sqft casino. Tunica National and Bob Cupp’s Mallard Pointe make the drive to the far north of the Magnolia State worth the gas. Make no bones, Mississippi has its share of quality golf courses be they stand-alone operations, tribal-owned facilities, or amenities offered by a mega gaming corporation. And if, like me, you can be persuaded to give them a try, the tourism department and I are pretty confident you’ll come back a second time. Develop a taste for the magnificent seafood and score a few dollars on the tables as well, and it might even become a habit.